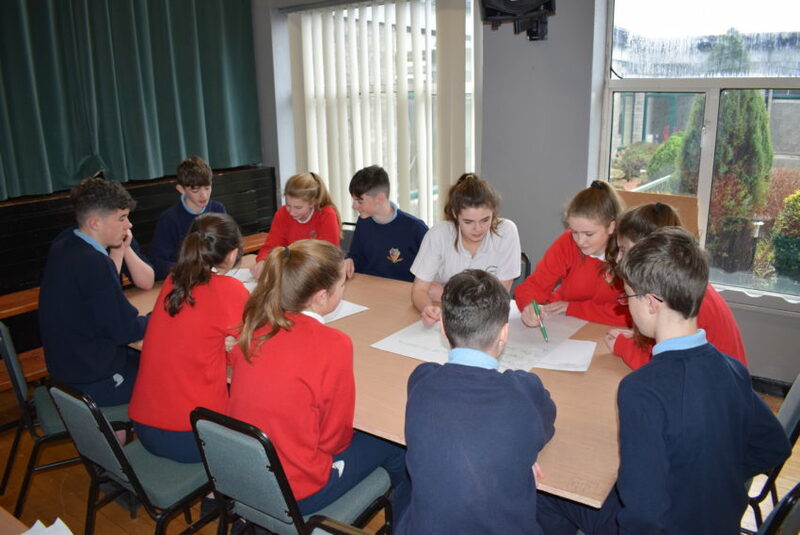 This week, our 2nd and 3rd years had workshops with Gina Dowd, Counselling West. 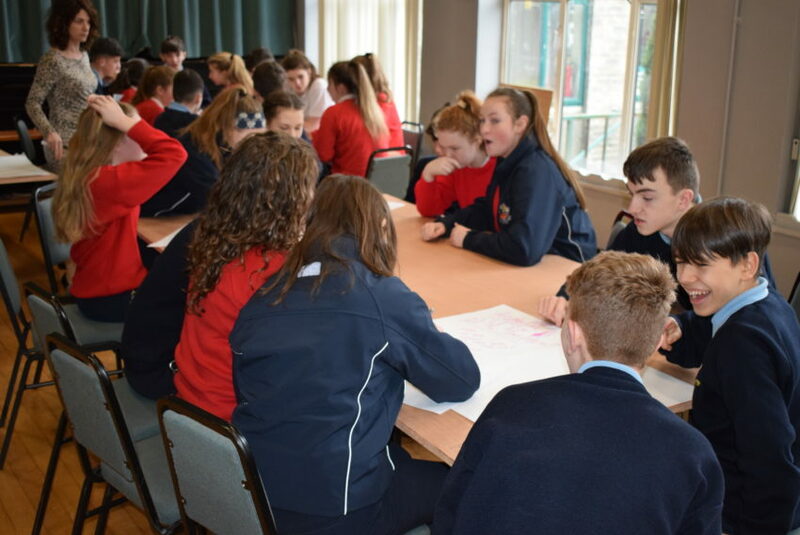 The area of self-harm and suicide has been highlighted not only in the national media but also at a local level as an area of growing concern among our young people. 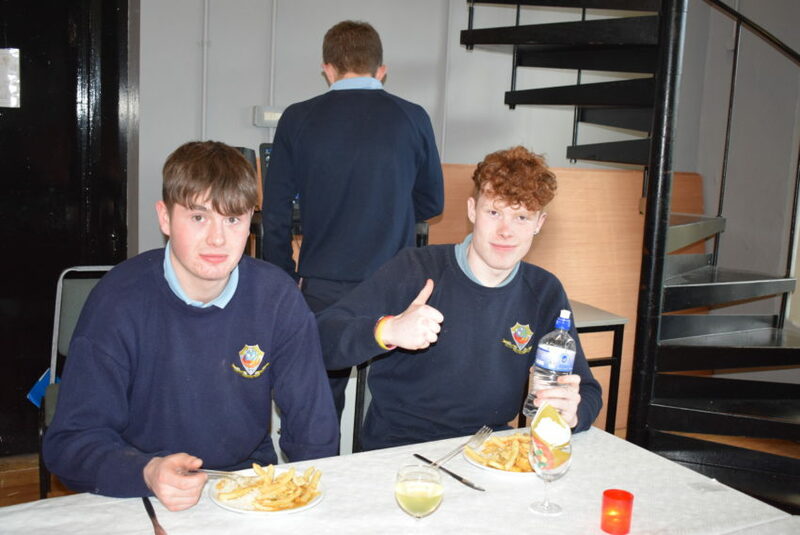 Here at Dunmore CS, we are constantly striving to promote positive mental health and encourage any students who have concerns to talk to someone they trust. 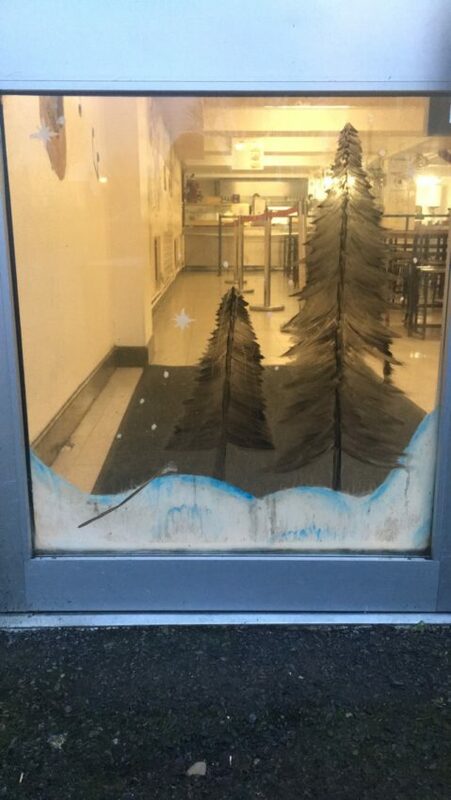 As we approach Christmas, it is a time that these feelings can come to the fore. 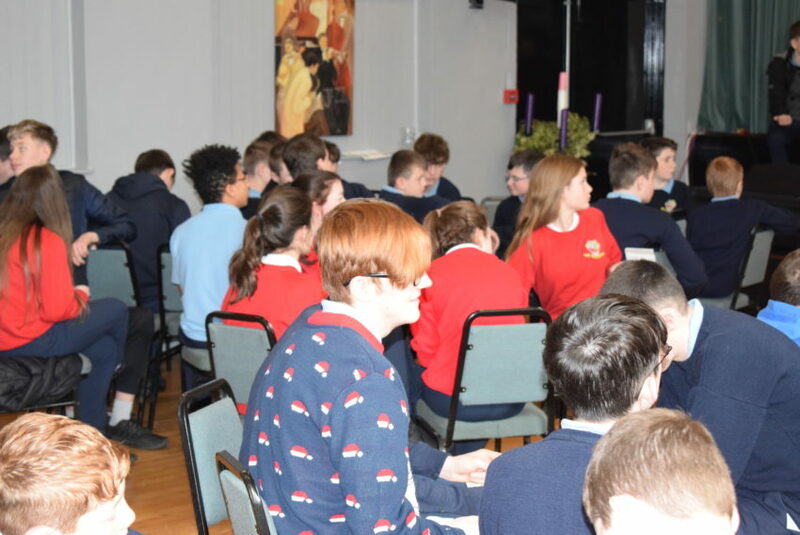 Gina worked with our students by encouraging them to explore and manage what is happening in their lives and explain to them the options open to them in getting help if they ever need it. 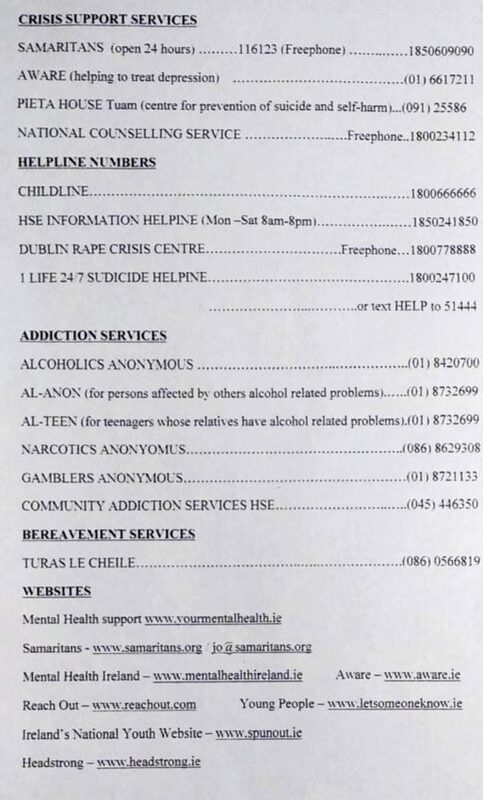 The various numbers and websites are listed below. 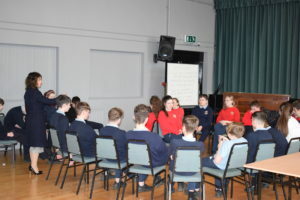 What is Counselling: Counselling can help you to explore and manage what is happening in your life. 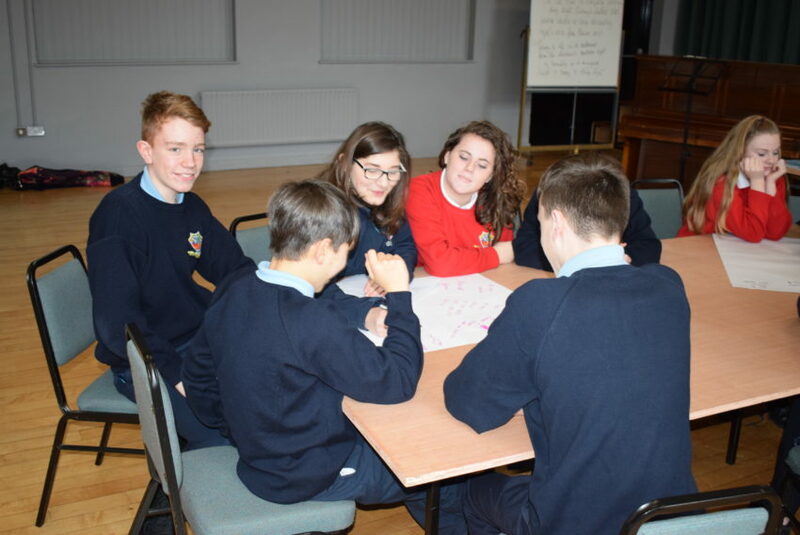 It helps you understand yourself better and gain an awareness of why you do things or why you don’t do things. 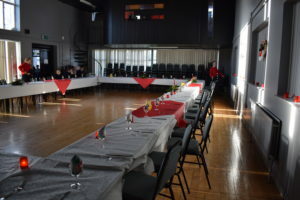 Maybe you have some worries or concerns that you need to think through, or possibly some difficult decisions to make. 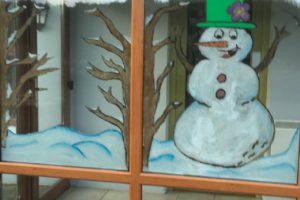 Counsellors aim to help you through difficult situations to gain a better awareness of yourself and help you to find a way forward. 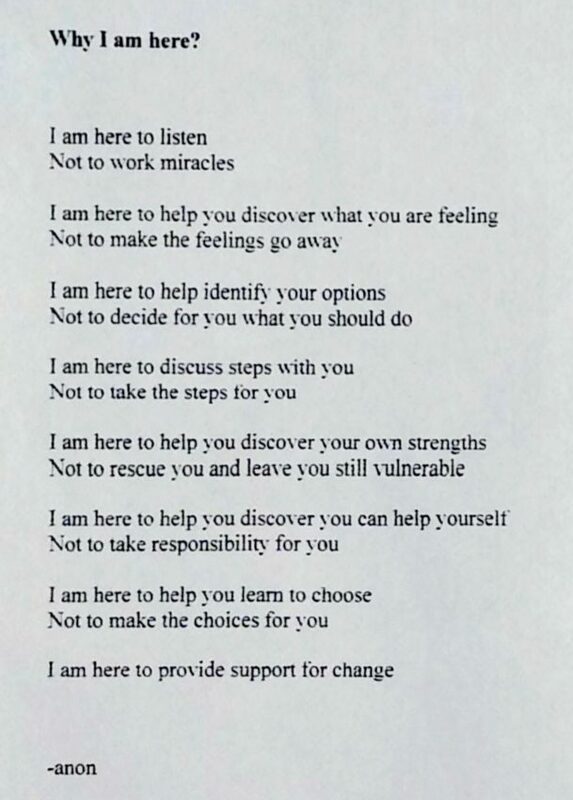 It may be about helping you accept what can’t be changed! 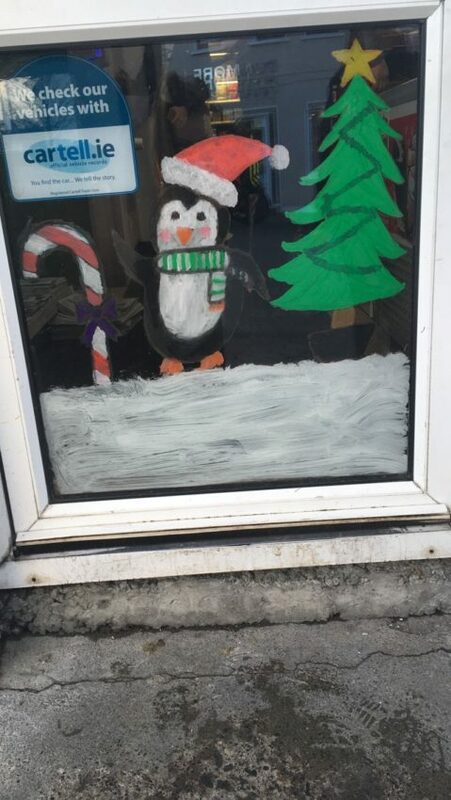 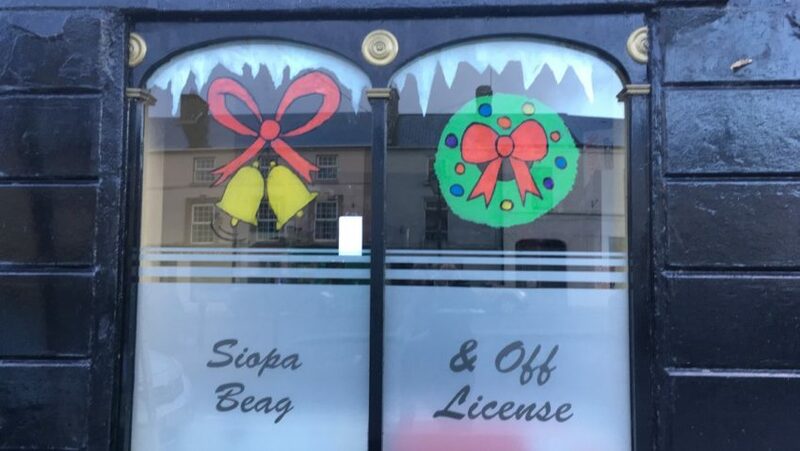 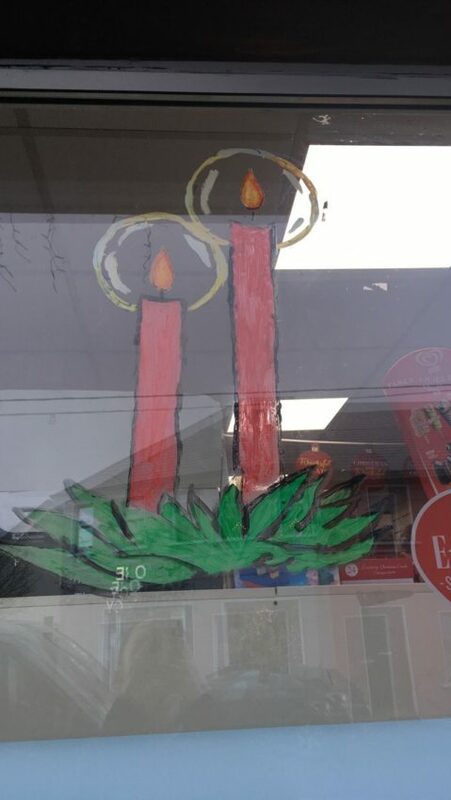 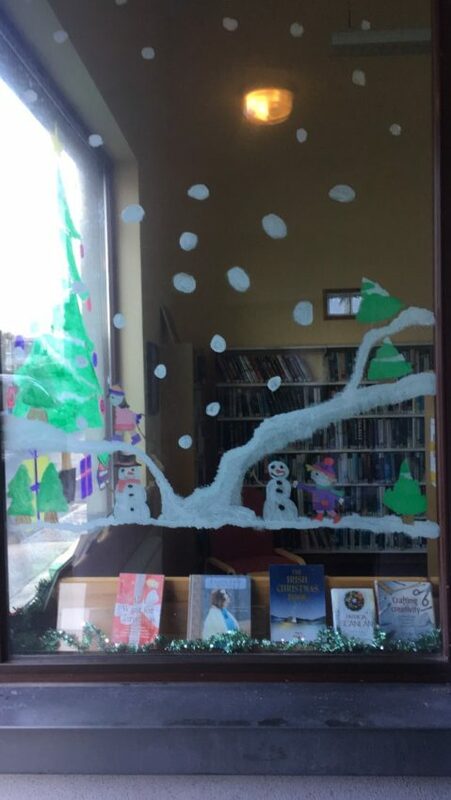 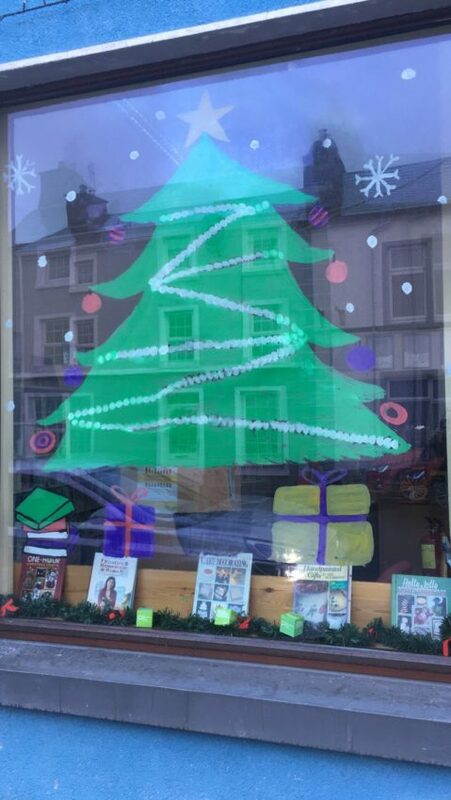 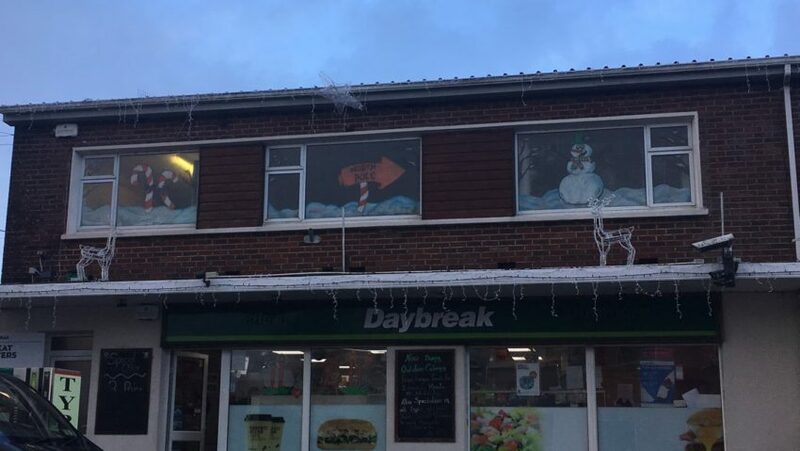 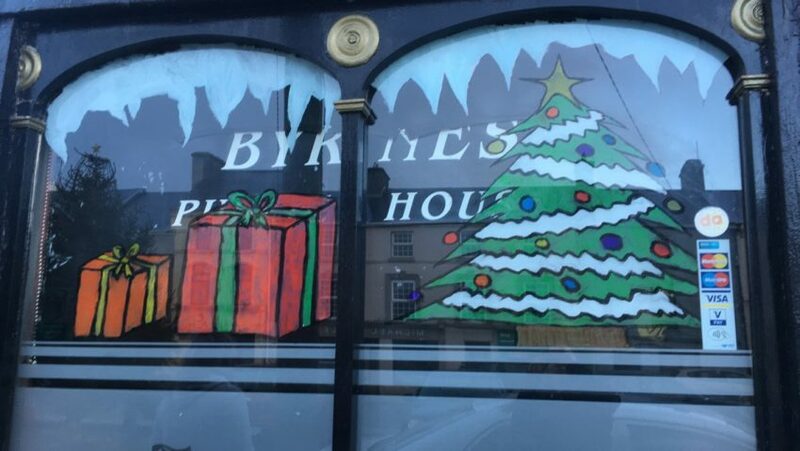 Look out for the festive windows in Dunmore town painted by the TY Students. 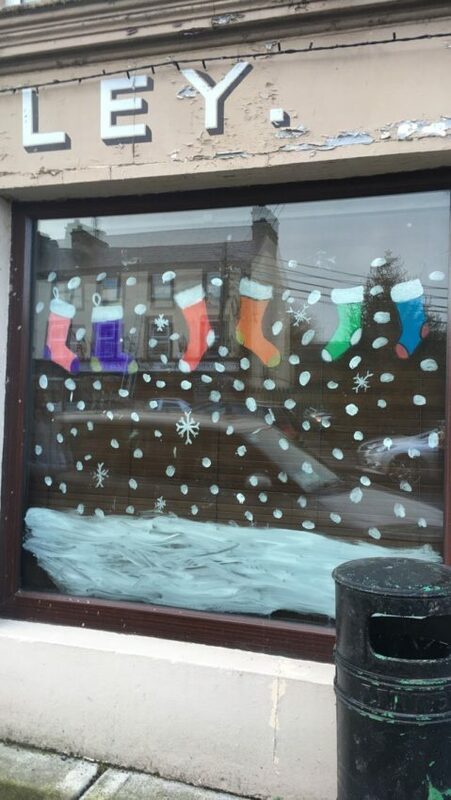 Well done to the team of window painters. 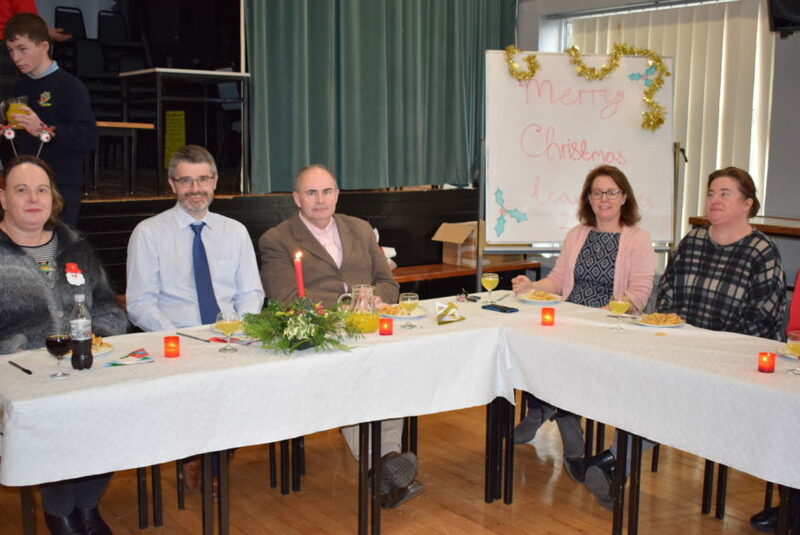 A huge thank you to the Art teachers, Maire Kavanagh and Susan O’Reilly for passing on their skills. 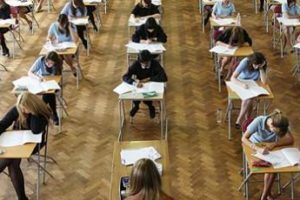 The Leaving Cert and Junior Cert official Timetables are now available on the Department of Education website here. 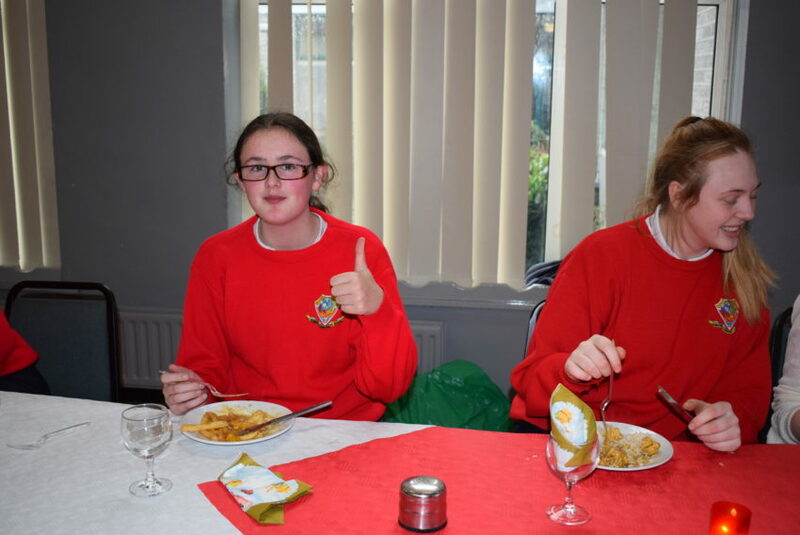 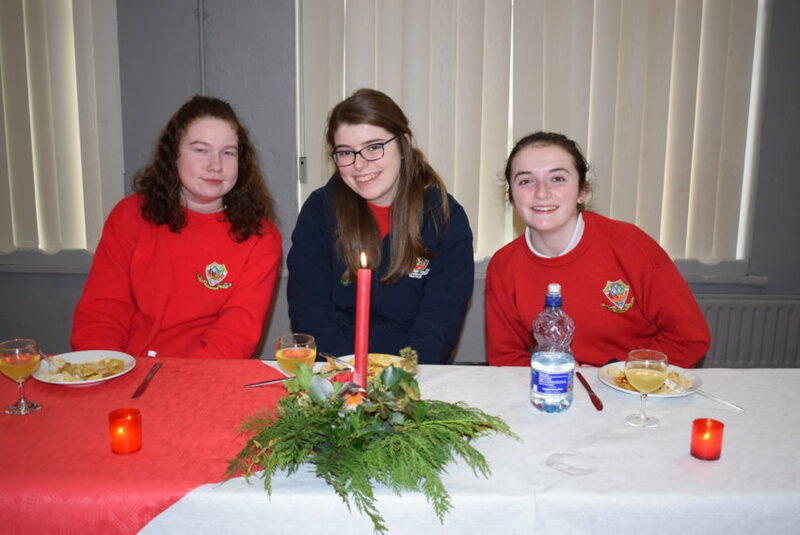 Our Junior SVDP would like to express their gratitude to all who contributed to our Christmas hamper appeal. 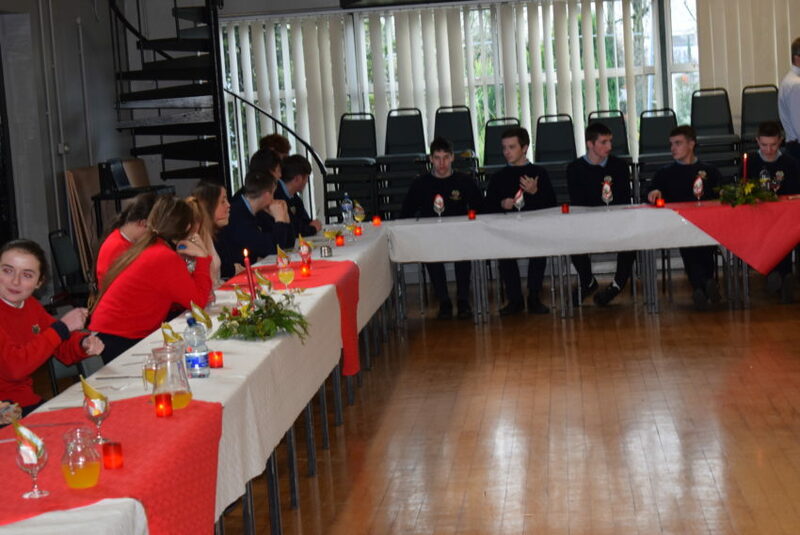 Many thanks to our parents, students and staff for their generosity and consideration. 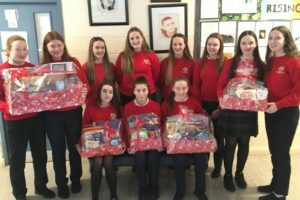 This is greatly appreciated by so many families in need this Christmas. 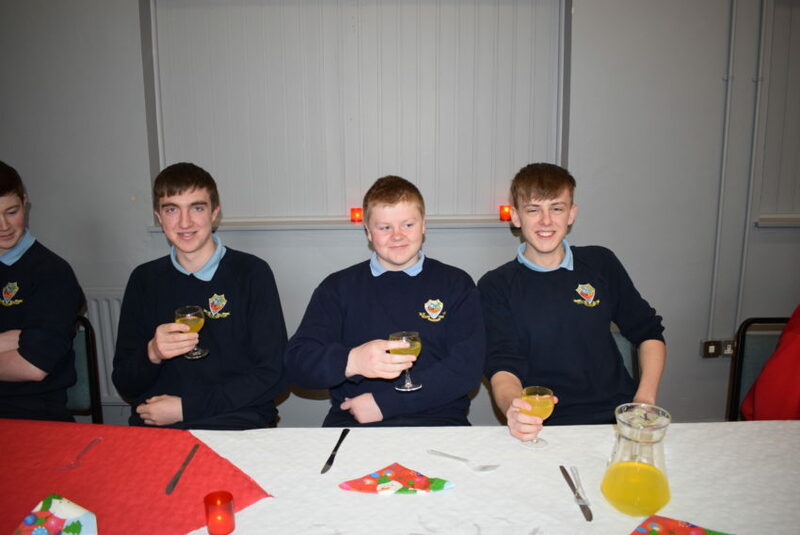 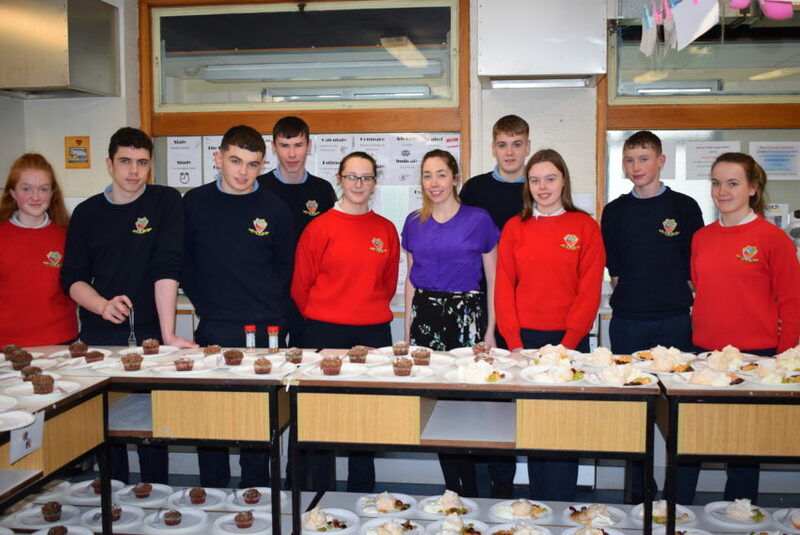 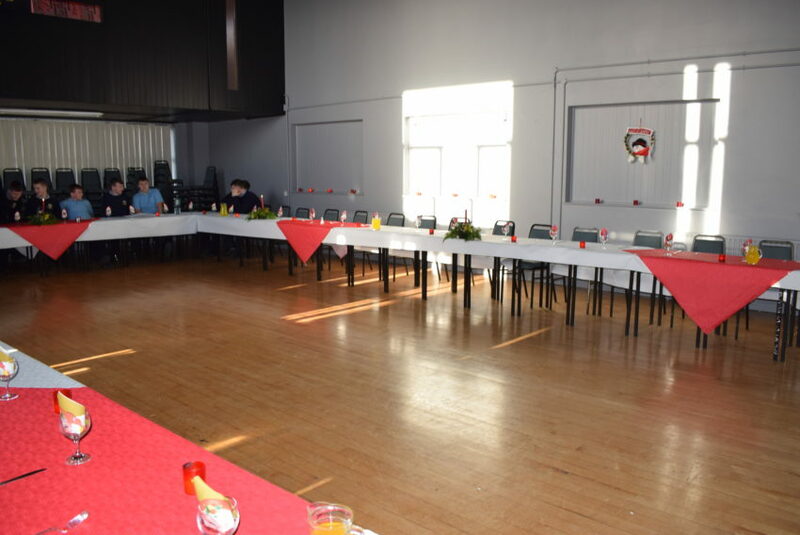 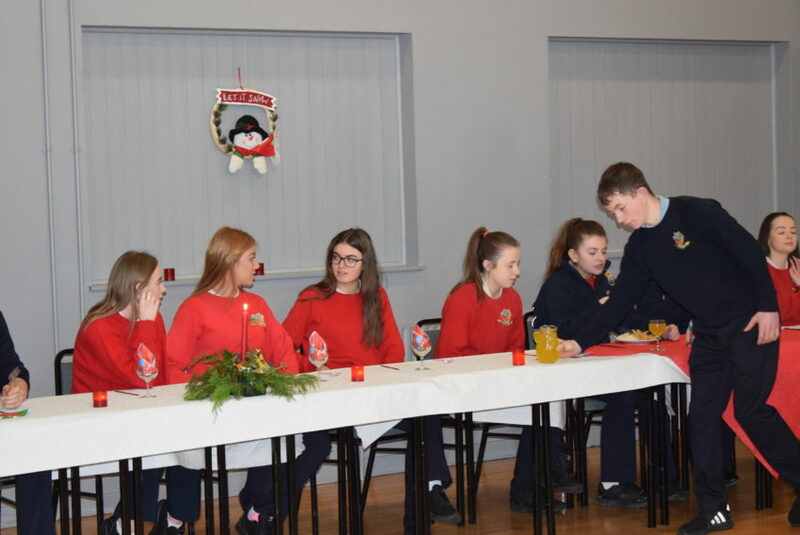 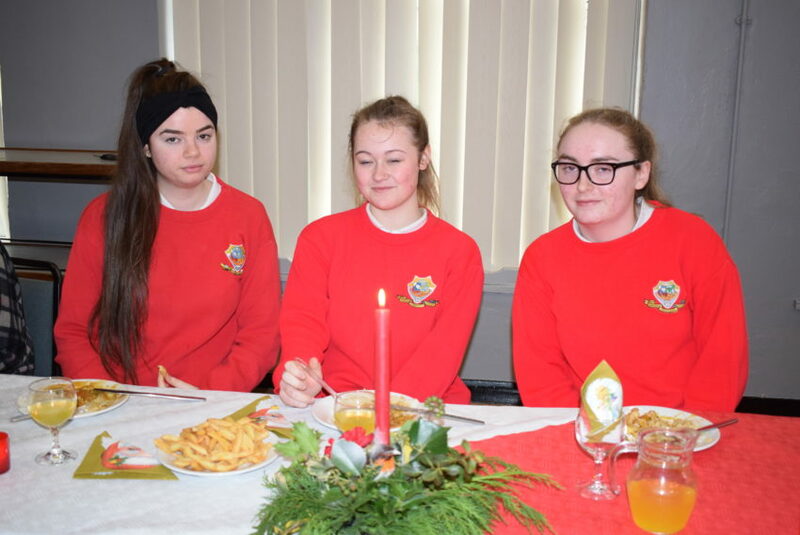 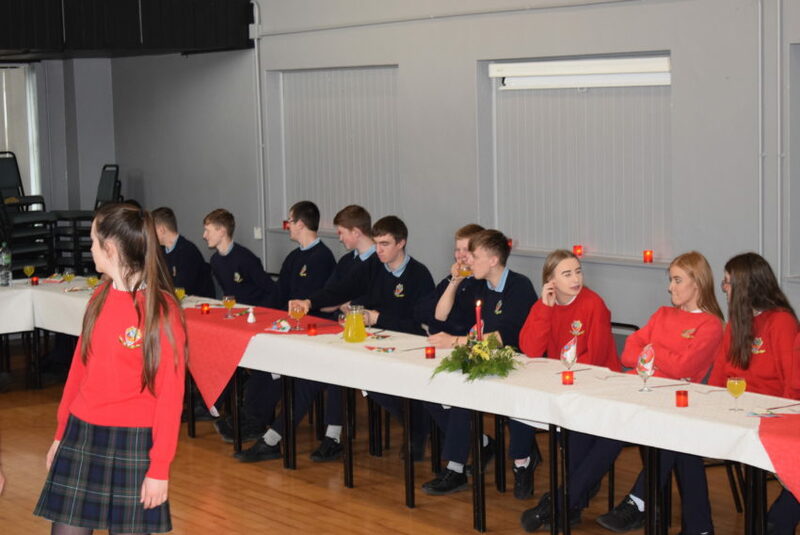 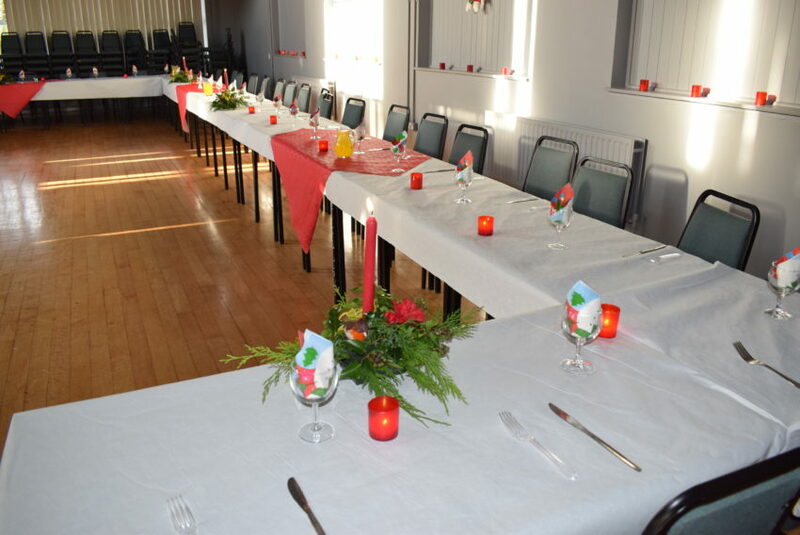 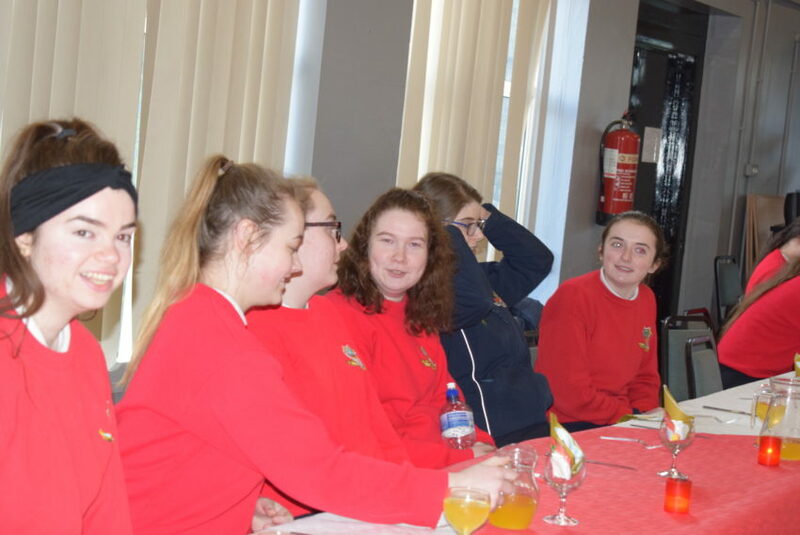 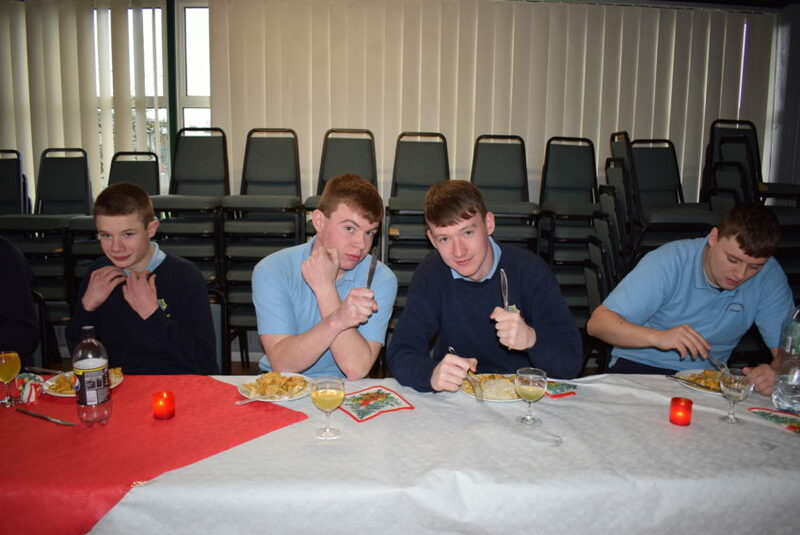 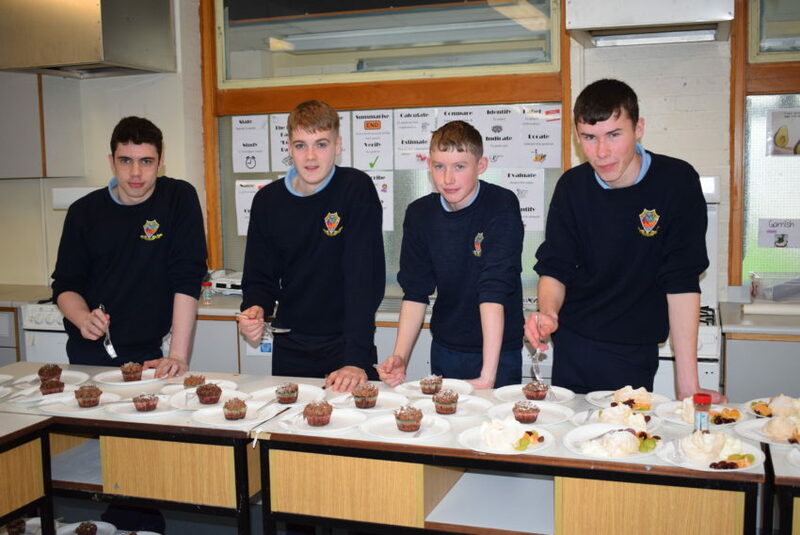 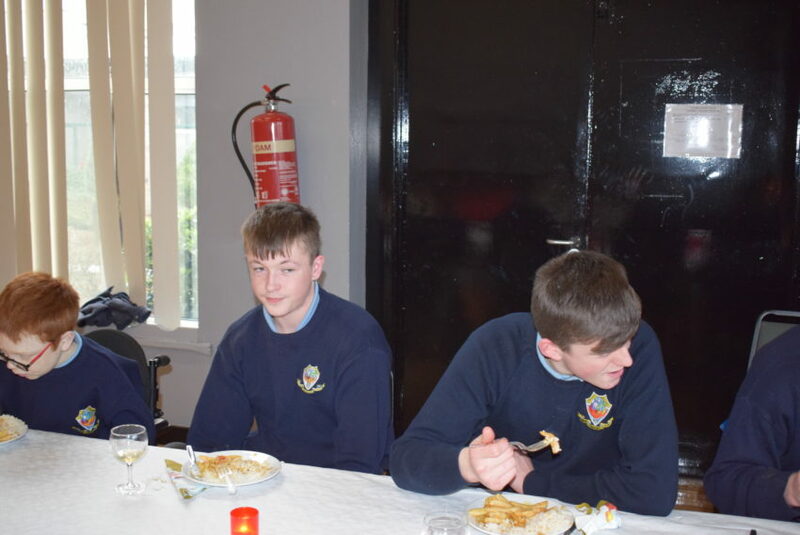 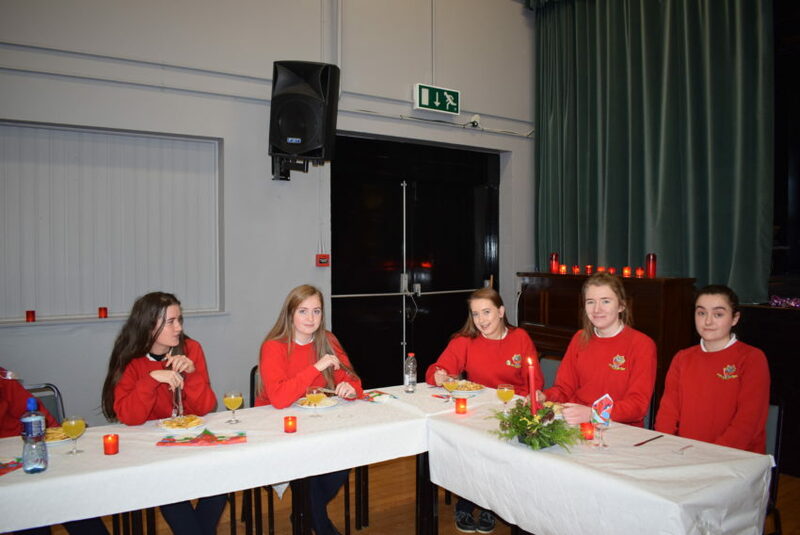 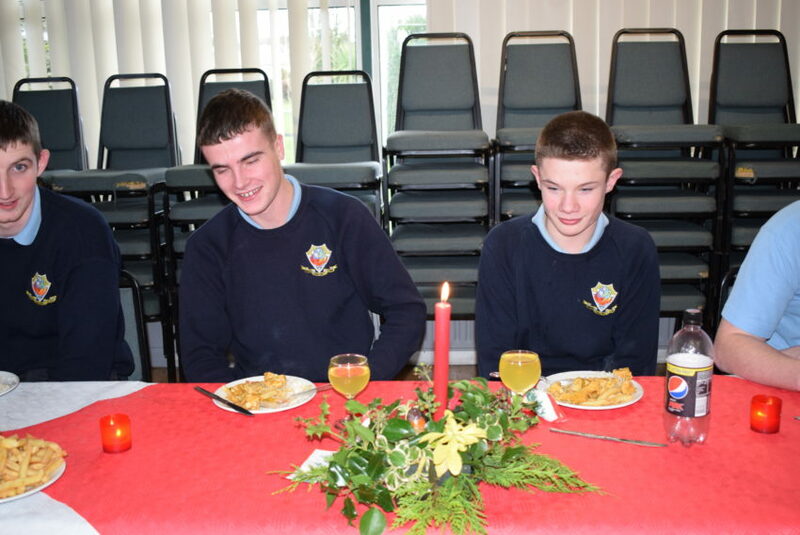 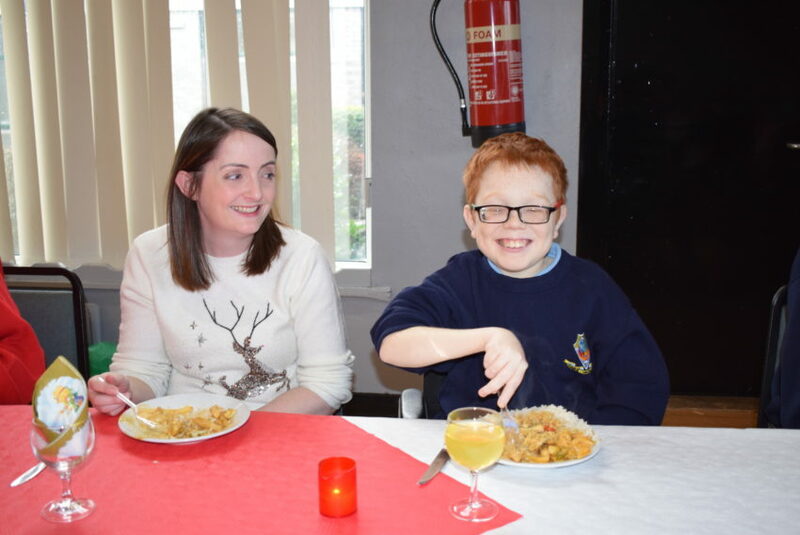 Special Thanks to our TY students, our LCA students, Ms Griffiths and Ms McManus for organising, preparing and serving a lovely Christmas Dinner in the Auditorium today for the LC and LCA students, their teachers, yearheads and management. 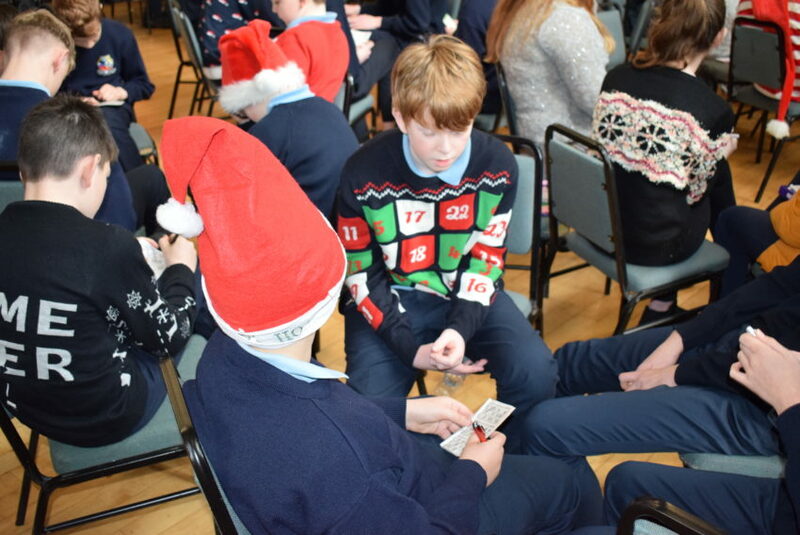 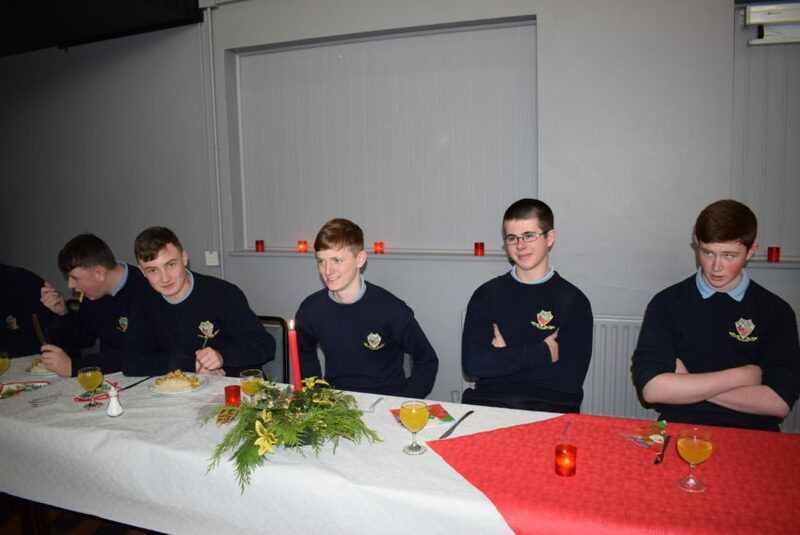 The dinner was followed by a little impromptu Table Quiz to prolong the festivities and help stay out of class a little longer. 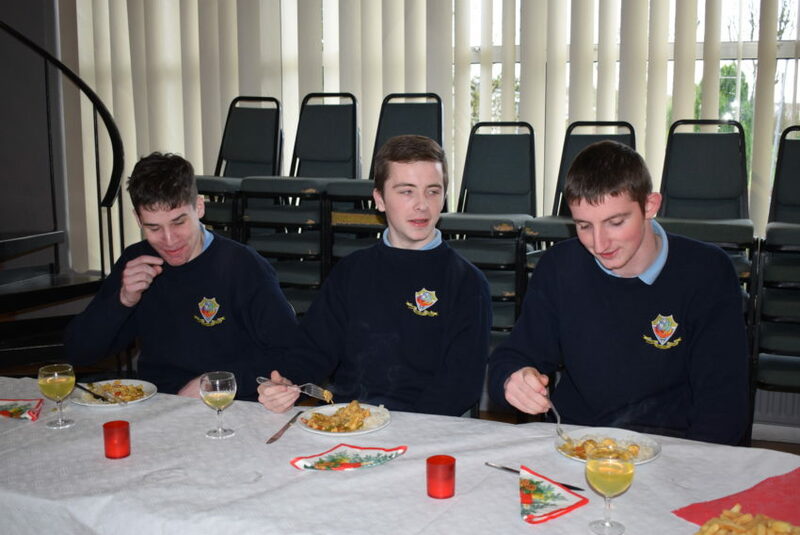 It was a well deserved and welcome break from all the studying and exams of the past few weeks. 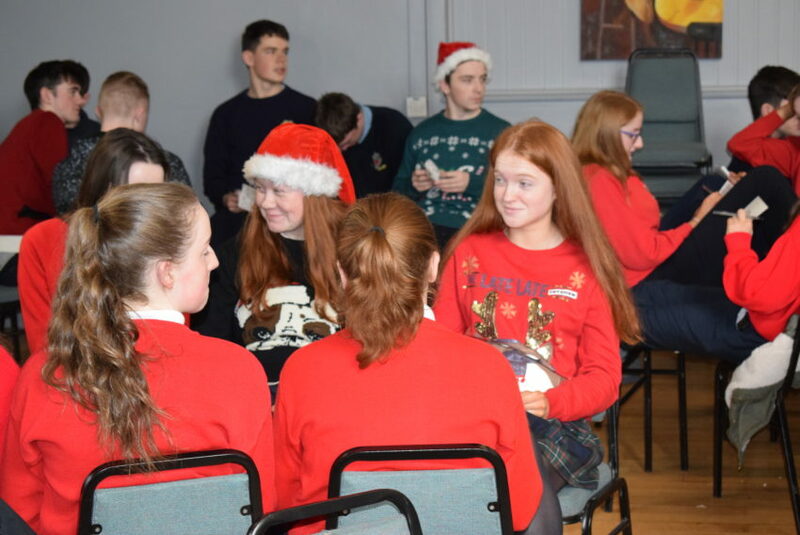 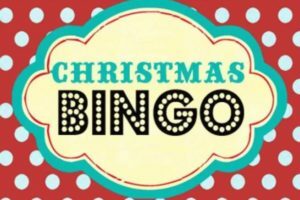 Our 3rd & 6th year Christmas Reports are now available online by logging in at dunmorecs.vsware.ie with your username and password. 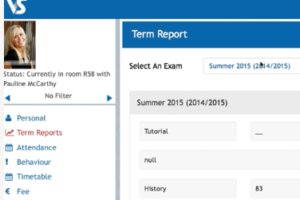 You also have the option of downloading a word version of the report by clicking at the top right of the online report. 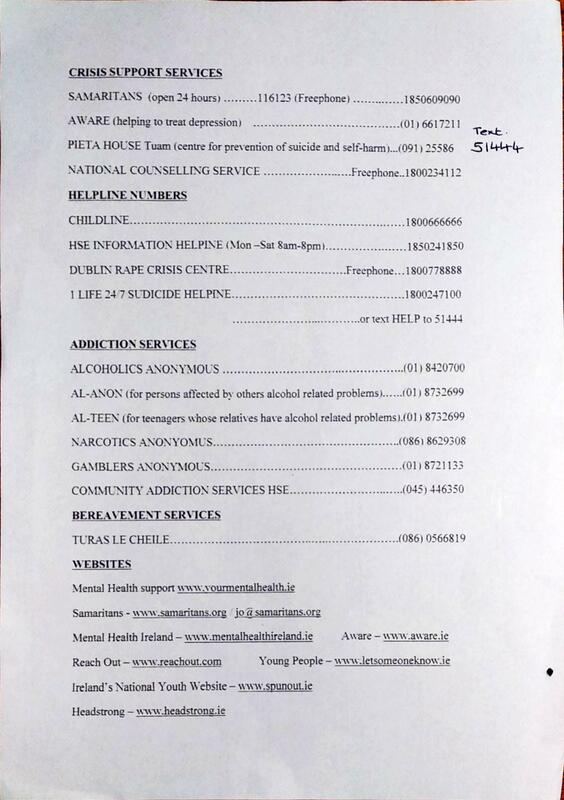 If you have any problems please email vsware@dunmorecs.ie for help. 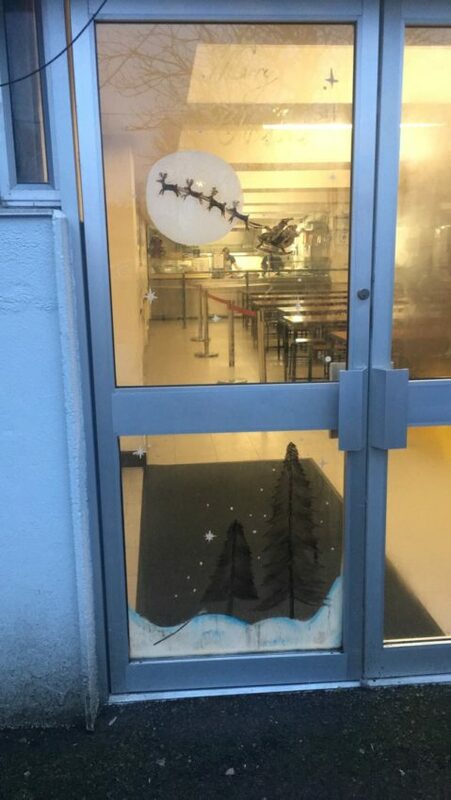 Please call the office should you need the password sent out again. 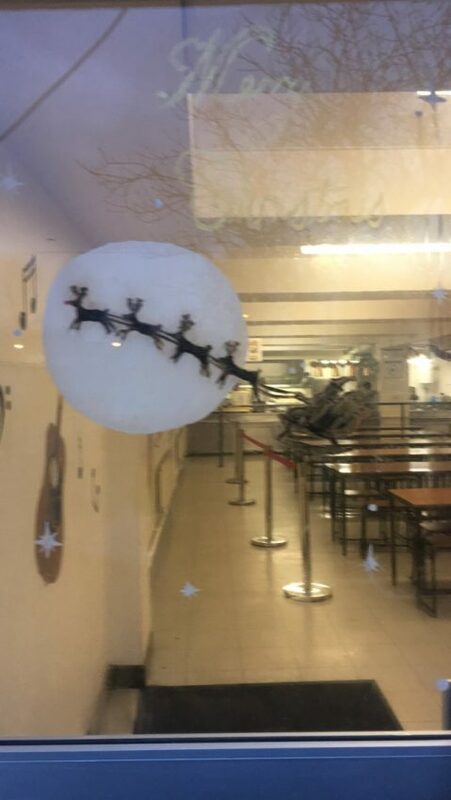 NB:- If you have more than 1 child in the school, there will be arrows under your child’s photo to allow you to move between each of your children. 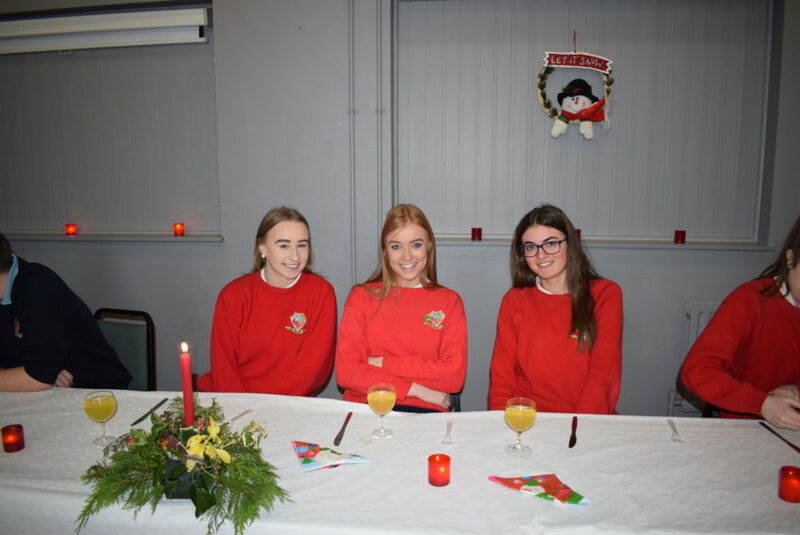 Please note our 1st, 2nd and 5th year students are currently sitting their Christmas Tests, so their reports won’t be available until the 15th Jan approx. 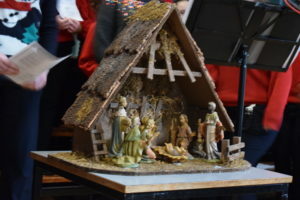 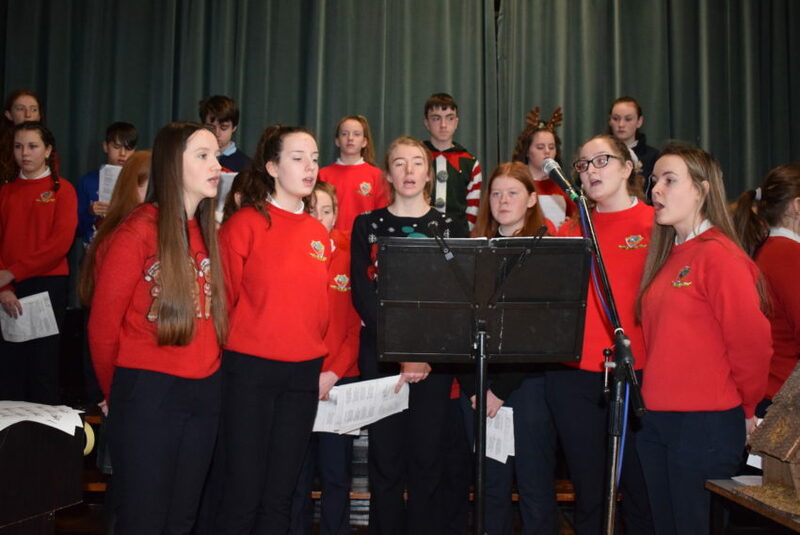 Our TY reports will be available online at the end of January/early February as they are sitting Half-Year exams towards the end of Jan.
Well done to all involved in the Carol Service tonight in Garrafrauns church, where we were celebrating the 20th anniversary of the Carol Service in Dunmore parish. 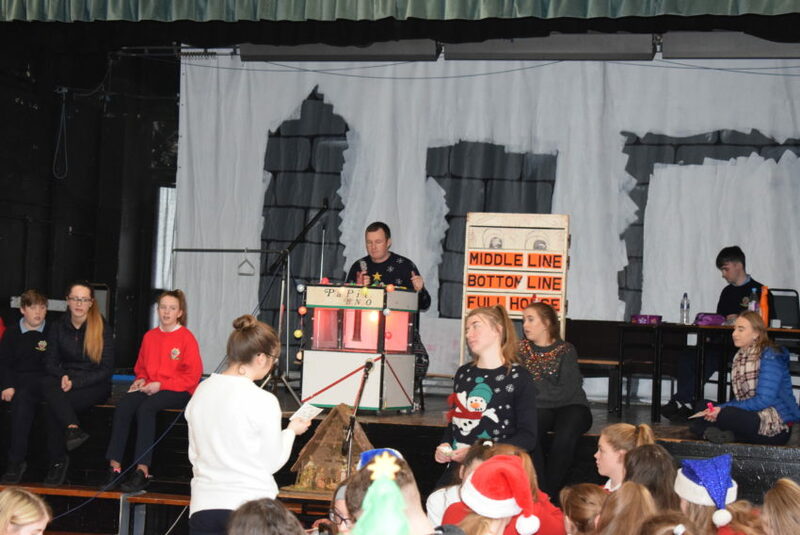 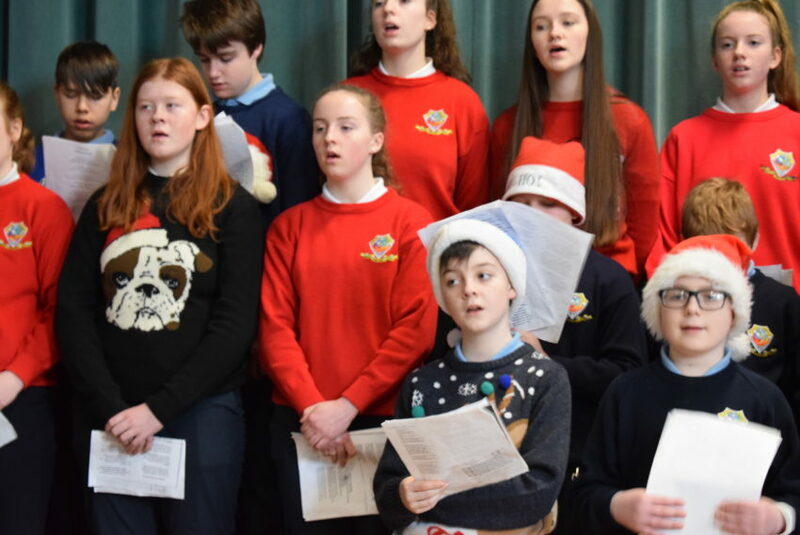 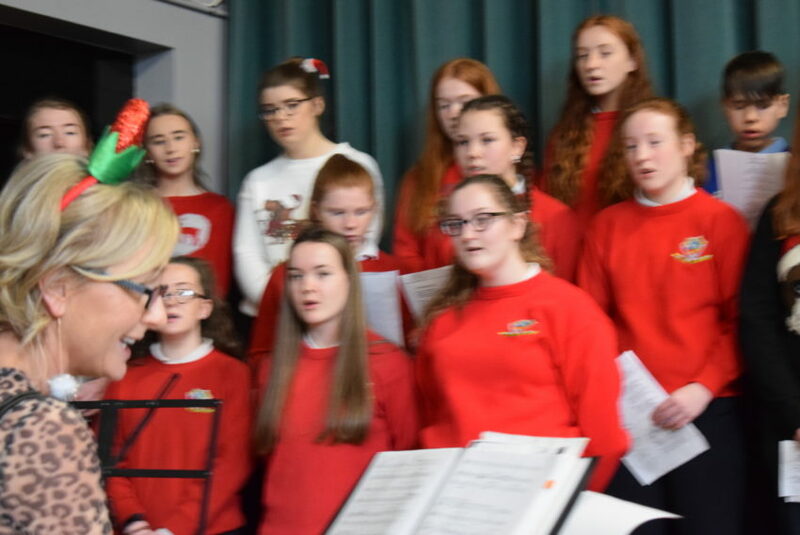 It featured performances by our three church choirs Dunmore, Garrafrauns and Kiltevna along with wonderful performances from four primary school choirs- Dunmore NS, Garrafrauns NS, Ballinlass NS and Gortnaleam NS….and finally our very own DCS school choir. 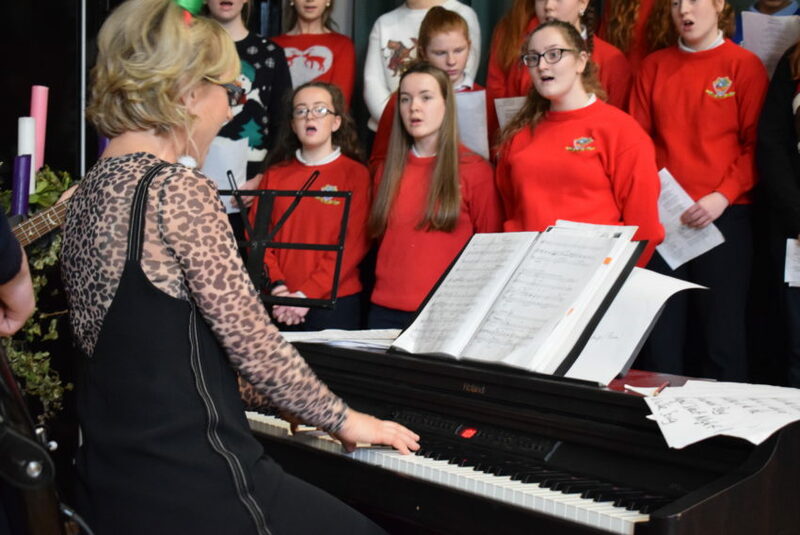 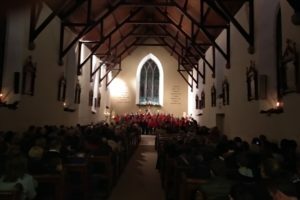 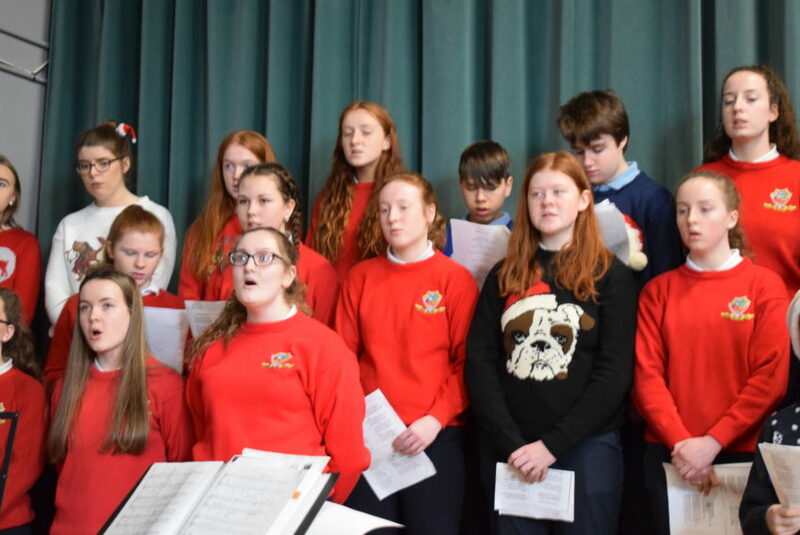 This year’s performance Christmas Canon featured our 60-strong mixed choir accompanied by staff members Annette Walsh on piano, Sinead Fitzpatrick on flute, Sandra Higgins Soprano, students Ethan, Alex, Dara, Megan and Lucyna on guitars and past pupil Meabh Sheridan on violin. 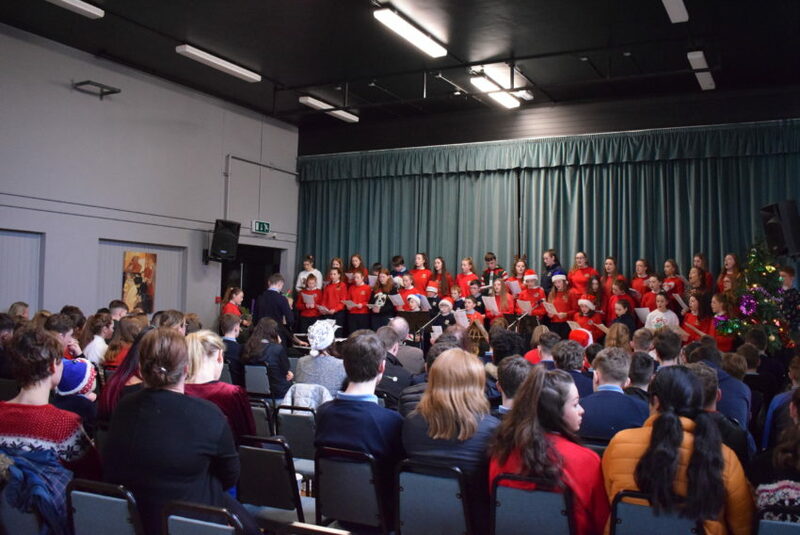 Congrats to all our students on such a wonderful performance and also to all the talented singers in our local National Schools. 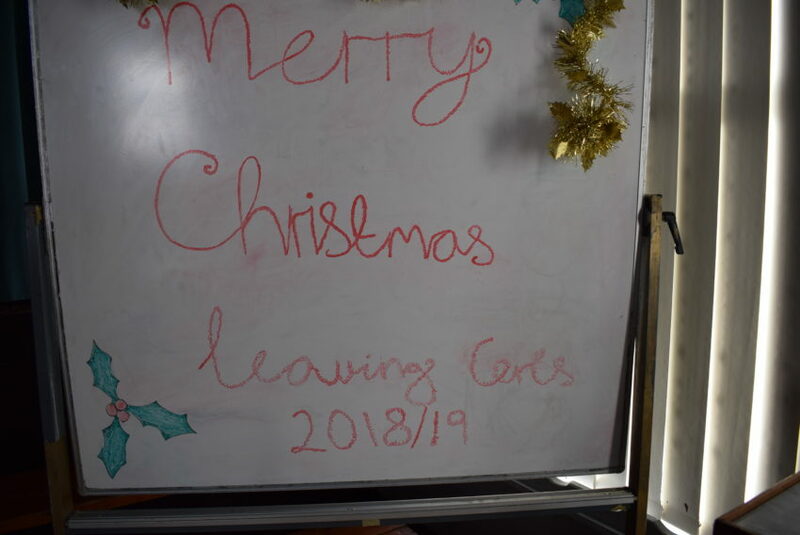 You were all fantastic. 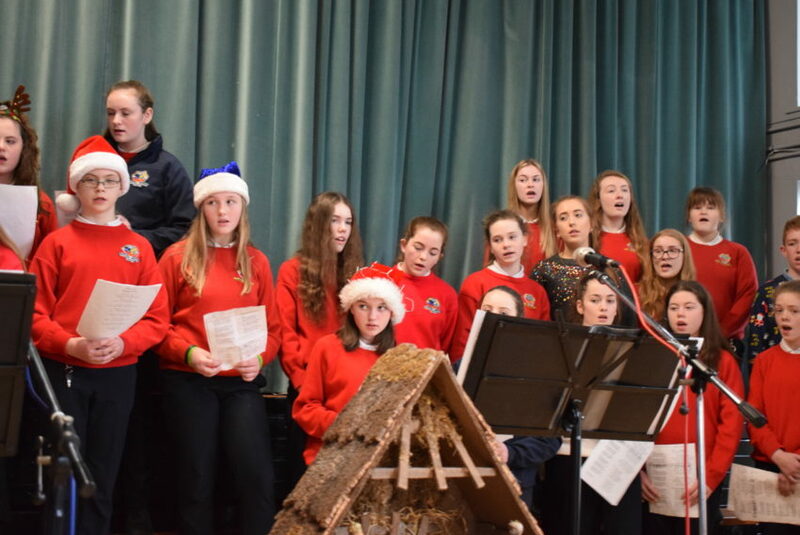 You can view their performance on Facebook here. 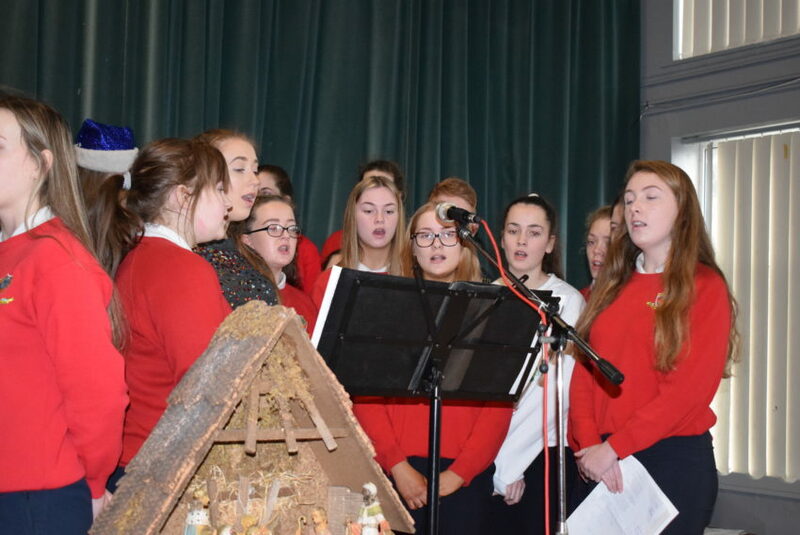 Looking forward to our school Carol service on Friday morning Dec 21st for more beautiful carols. 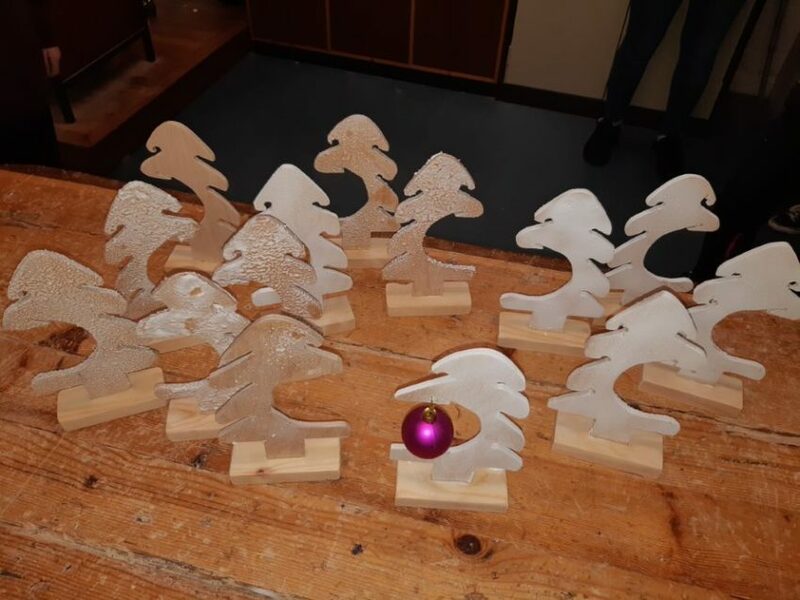 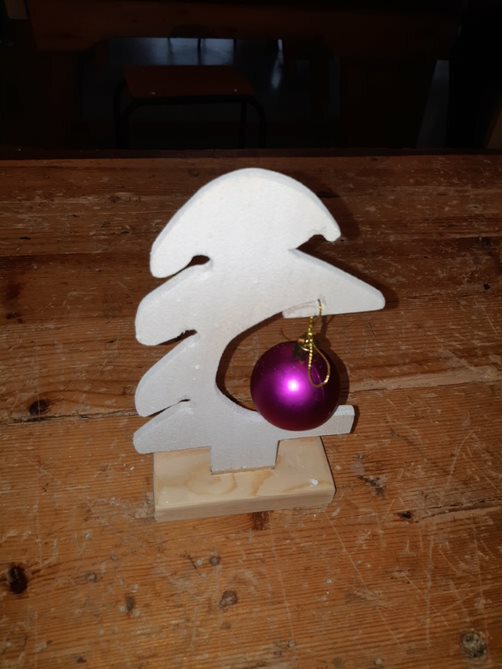 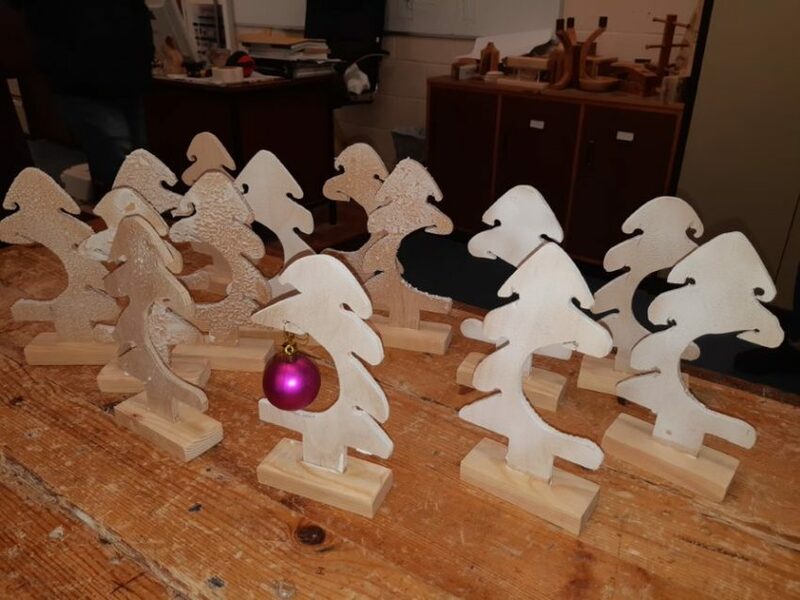 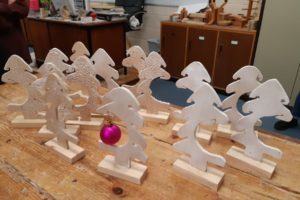 Well done to our 2nd Year woodwork students who have worked hard on getting their Christmas Trees completed.